Earlier this month, we asked our alumni audience on LinkedIn what advice they would give to first-year students starting at Laurier. The response to our post was fantastic and we have highlighted some their advice to you below. With orientation events over and classes underway, we hope you will give their words of ‘golden wisdom’ some consideration. The Student Organizations page will connect you to information about Laurier’s student clubs, the Students’ Union and the Graduate Students’ Association. Intramurals and Club Sports is where you will find details on the wide variety intra- and extramural activities at Laurier. Laurier’s Indigenous student centres offer free soup lunches each week, in addition to a variety of other programming that is open to all students. Visit the Diversity and Equity page to learn more about cultural and faith-based student groups and associations. You can also find information about the Women’s Centre and Laurier’s LGBTQ associations. Check out the Wellness Education page to learn more about health and wellness workshops and events to keep you at your best. 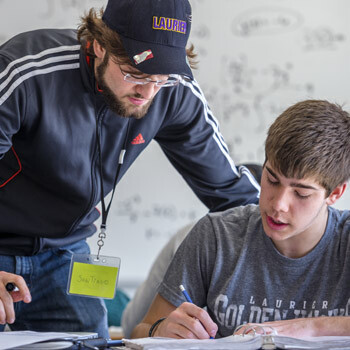 Laurier’s event calendar has up-to-date information about what’s happening across our campuses. You can search for events by campus, category, audience and organizer.